The FOCUS team, together with our research collaborators, the Quality and Safety Research Group at Johns Hopkins University, continue to forge ahead. The data collected during the literature review, analysis of the National Learning Reporting System, and observations at the five FOCUS sites, are being prepared for publication. Three publications, with joint authorship between SCA and QSRG members, have been submitted, with 5 additional manuscripts in preparation. The next phase of FOCUS is well underway, with QSRG developing tools to enhance teamwork and safety in cardiac surgery. FOCUS sites that indicated a primary interest in the Learning Collaborative are participating in the development of these tools, and will be pilot testing them in the near future. The FOCUS team attended the Lucian Leape/ National Patient Safety Foundation Forum in Boston on the afternoon and evening of September 16, 2010. A number of speakers reported on progress and recommendations from work groups within the Lucian Leape Institute. It was clear from listening to these reports that FOCUS is now and will be providing a vital research/interventional force to the movement to make medical care safer. As a result of attendance at the Lucian Leape Forum, FOCUS has secured Paul O’Neill as the keynote speaker for the SCA Annual Meeting, in Savannah, Georgia, on May 2, 2011. Mr. O’Neill will talk on: “Leadership in High Reliability Organizations: Methods to Reduce Human Error. “ This keynote address will dove tail to the FOCUS session, held from 3:30 pm - 5:15 pm on May 2, 2011, where Mr. O’Neill will again appear on the panel to answer questions and provide discussion regarding FOCUS data and future programs. Paul O’Neill has had an important career in private industry as well as public service. Mr. O’Neill served as the 72nd Secretary of the Treasury under George W. Bush (first term). 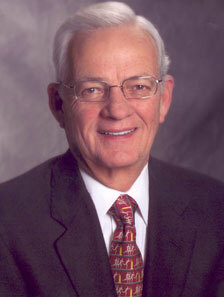 Prior to this service, he had been CEO of Alcoa Corporation and the Rand Corporation. His experience from these leadership positions will form the basis for his address to the SCA and his participation in FOCUS. We hope as many members as possible will attend his address and hearing him speak is itself a reason to come to Savannah for the SCA Annual Meeting.